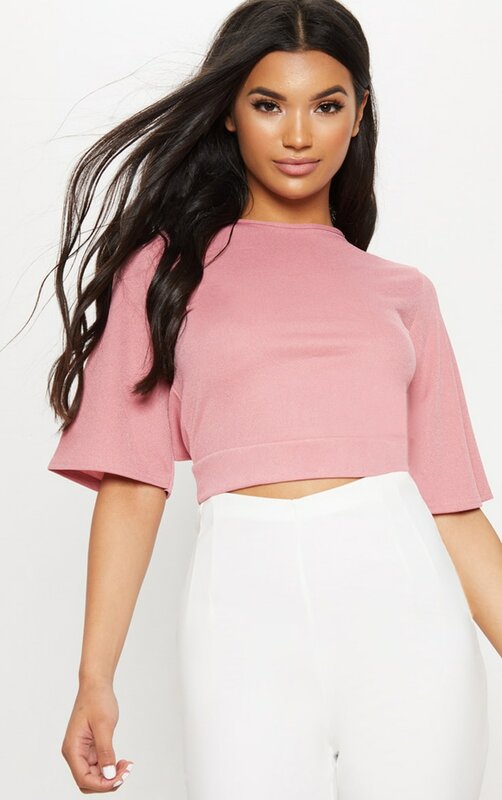 This cute crop top is perfect for date night. Featuring a rose crepe material with an open back and a tie detail. 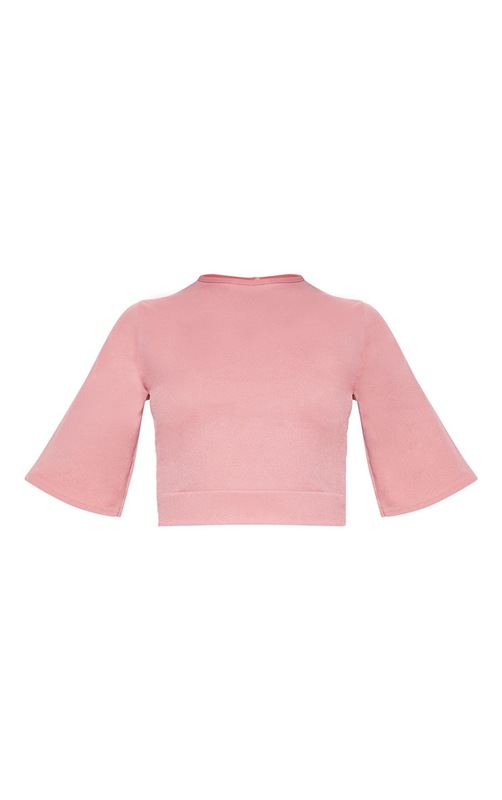 Style this crop top with high waisted trousers and strappy heels and a clutch to complete the look.